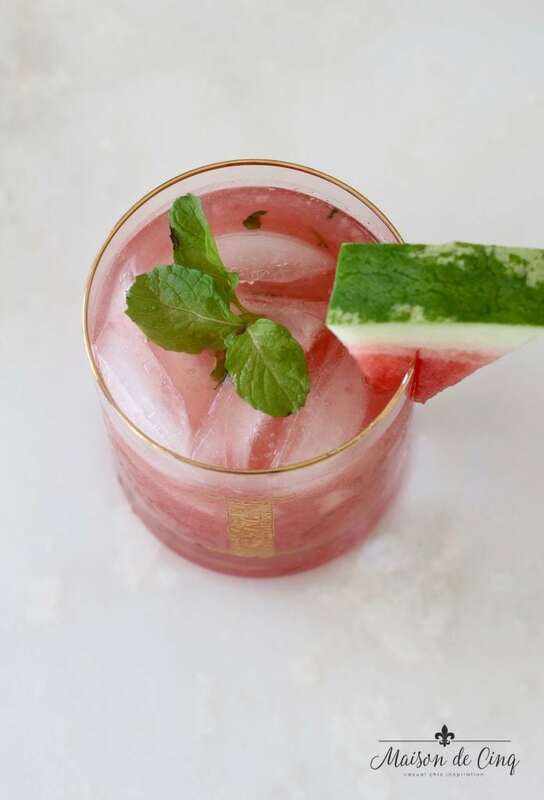 Watermelon Mojito Recipe - The Perfect Summer Cocktail! When I was a kid, I never really understood why my parents and the other adults in my life loved summer so much. I mean, I loved summer because there was no school (clearly the best thing ever!) But why did they like it, when they still had to go to work? And now that I’m an adult, I think I know. Alcohol. So, to help you with a further selection of said ice-y, tropical, fruity, and creamy drinks, some blogging friends and I are bringing you our Summer Sips Blog Hop! And if you don’t drink, no worries. There are some non-alcoholic (but still delicious) selections as well! Today I’m sharing one of my absolute favorite drinks, a watermelon mojito. This cocktail is a riff on one I had at a restaurant. I loved it so much I came home and tried to re-create it. It is summer in a glass. It’s got watermelon, the most summery of summer fruits. Tons of fresh mint (that’s the mojito part). And a lot of fresh lime juice to brighten it up. It’s perfectly delicious on a hot summer night, something I’ve been experiencing lately as we’re in the middle of more than a week of 100 degree days. In fact, that gives me an excuse to make these again tonight, right? And just to make it extra yummy, I used my favorite glasses! 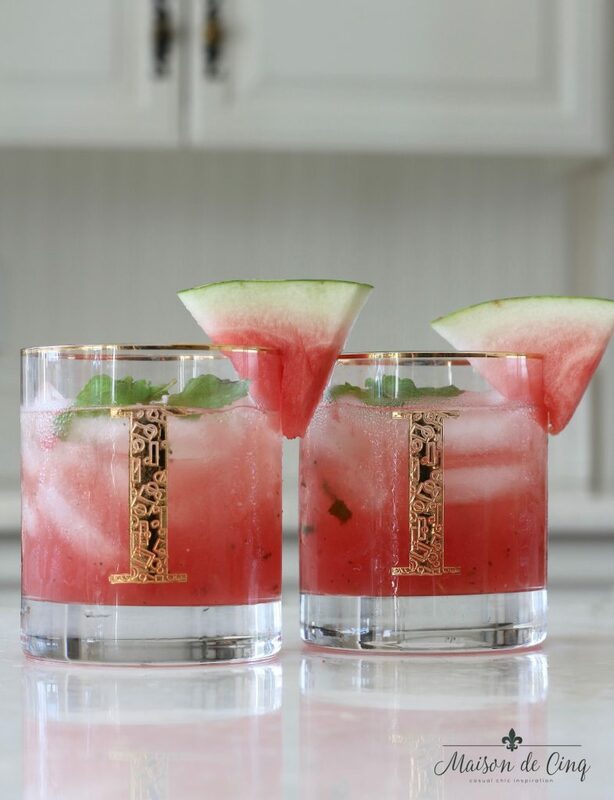 These monogrammed cocktail glasses from Anthropologie are my favorite! 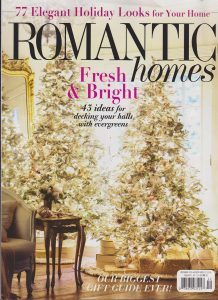 Classic and chic, but not expensive. And they make the best gift, too! 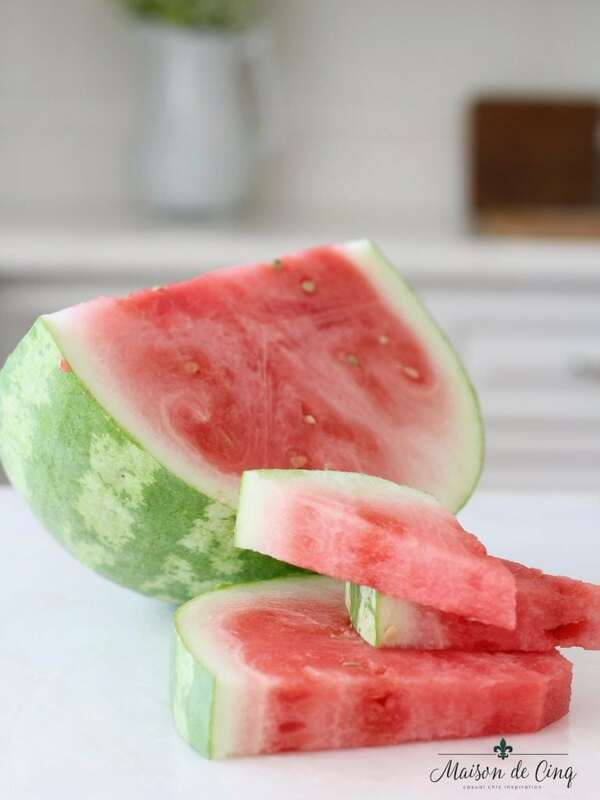 Chop the watermelon into large chunks, and remove any large seeds and the rind. Puree the fruit in a food processor until smooth. Use a mortar and pestle to mash your mint leaves. Combine the mashed mint, rum, simple syrup, 2 cups of the pureed watermelon, and the lime juice and stir to combine. Fill glasses with ice cubes and pour mojito mixture over. 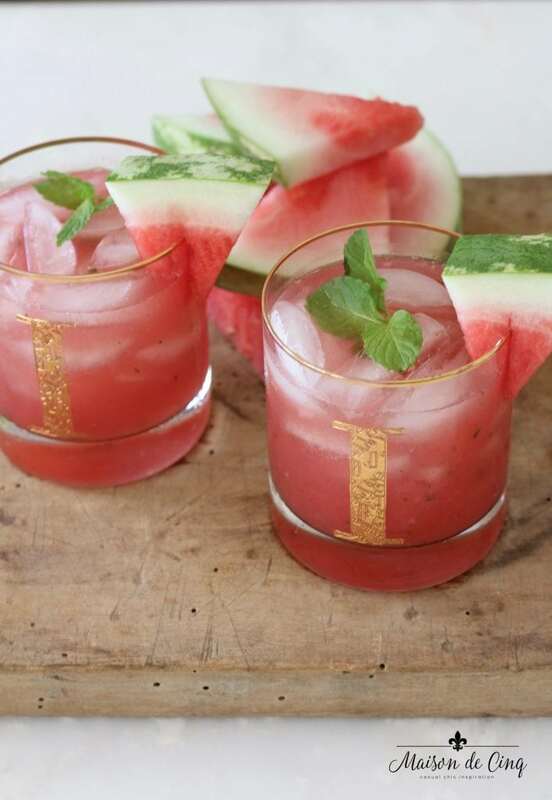 Garnish with a sprig of mint and a spear of watermelon in each glass. Enjoy! *To make simple syrup, put equal parts sugar and water into a small saucepan and boil until the sugar dissolves (I usually do one cup of each so that I have some leftover). Cool before using. Simple syrup stays fresh in the refrigerator for one month and it’s great for cocktails, iced tea, smoothies, and other summer drinks. 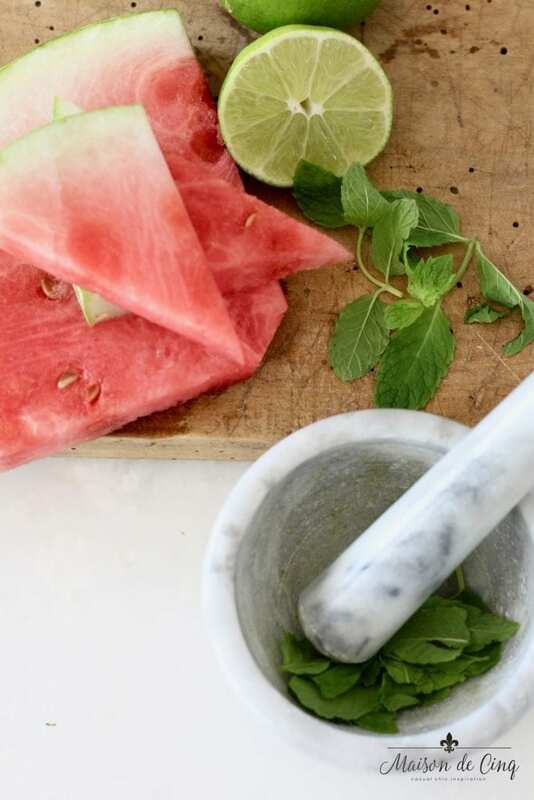 I hope you’ll try my watermelon mojito – and let me know what you think! 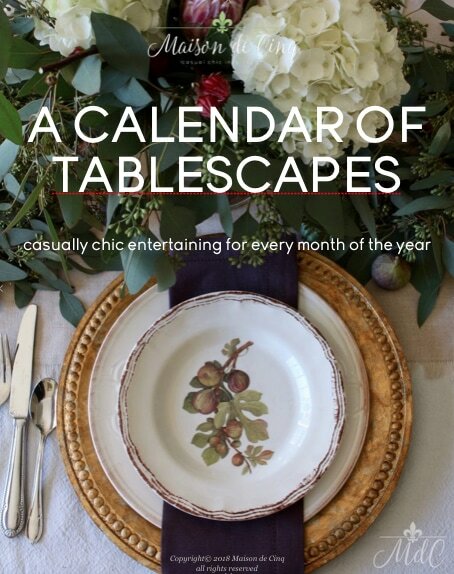 And be sure to visit my friends and get some more ideas for fun cocktails and summer drinks below! haha, I’m glad you enjoyed it! 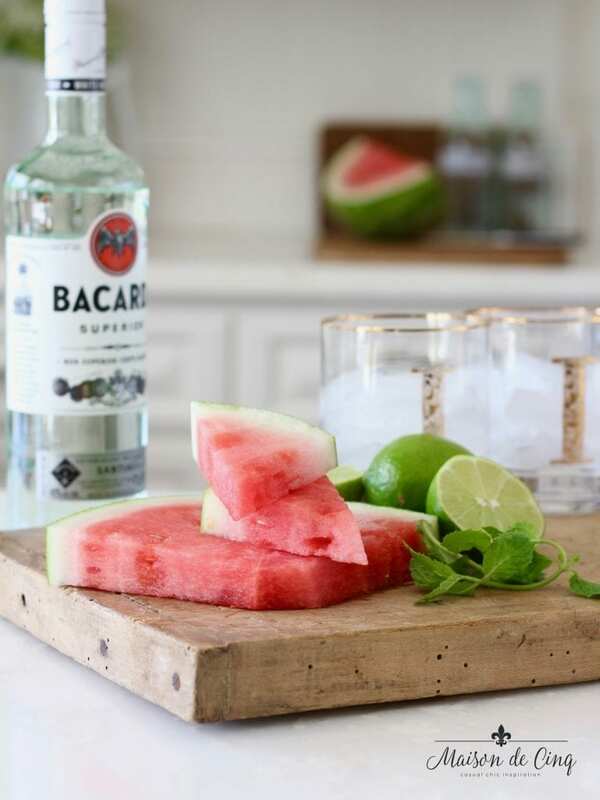 I LOVE Watermelon Mojitos…well any Mojitos for that matter and yes the perfect summer cocktail! Have a great week! Hahaha omg Sheila you’re so right!! This is why we adults love summer! This sounds soo yum, I love watermelon in drinks too! Haha! I know – so true, right?! Glad you liked it Merichelle! Watermelon with anything sounds so yummy!its my favorite!i can’t wait to try these! If it’s your favorite, you are going to love these Kirsten! Oh you make that watermelon look SO good! I can’t wait to try this! 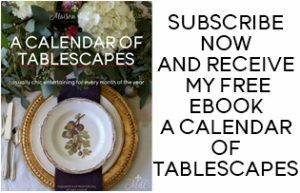 Thanks for sharing and joining me on this fun summer hop! Thank you Kelly! So happy I got to be a part of it! These are so pretty and sound delicious! I love mojitos & watermelon! Thanks for stopping by Desiree! Yay! Thanks Debra – hope you’ll try it!